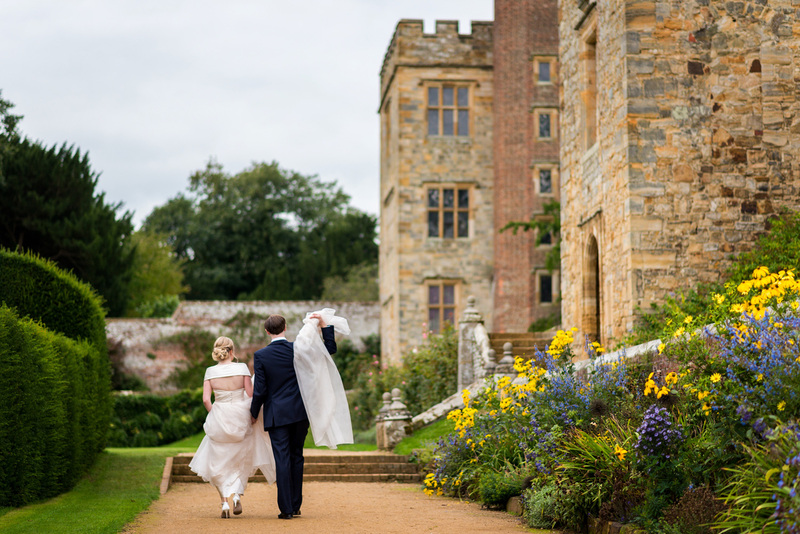 The 4th September 2015 took me to 2 destinations in Kent, Penshurst Place near Tonbridge, followed by the Riverhill Himalayan Gardens near Sevenoaks for the wedding of Emma and Michael. 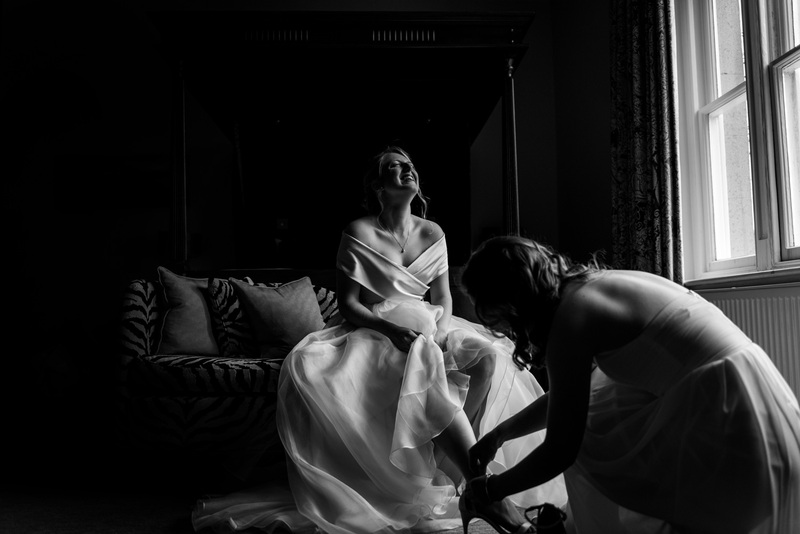 Before the day started I captured the bridal prep in the Spa Hotel in Tunbridge Wells, Kent which was a lovely place for the girls to get ready. 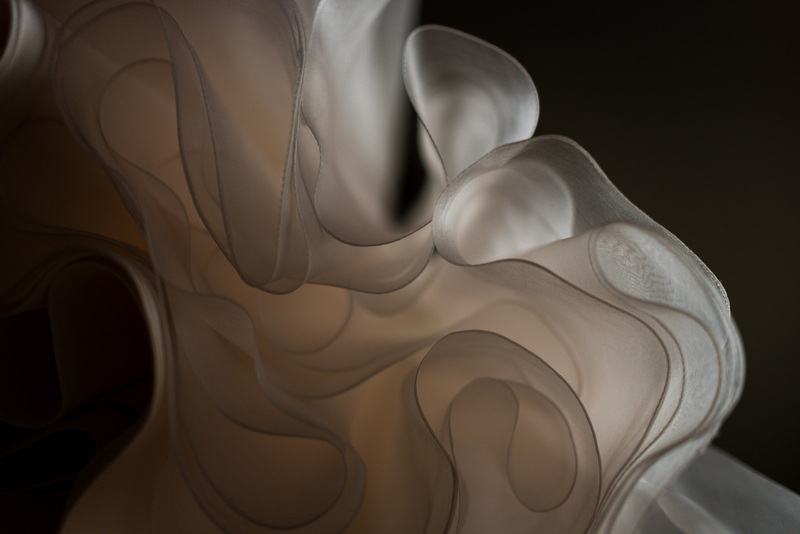 Emma’s dress was one of my favourites that i have seen, I thought that it was so elegant . 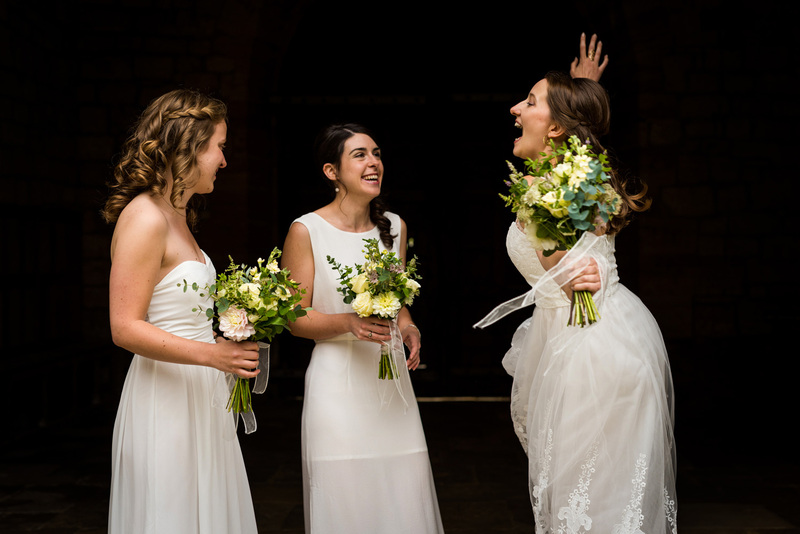 I also loved the fact that the bridesmaids were able to show their personalities by having individual style cream dresses which were brought together with matching bouquets. 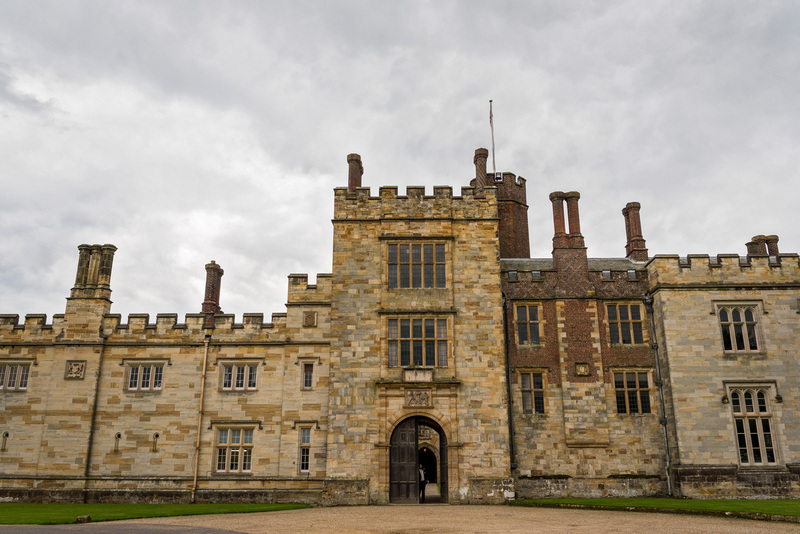 The ceremony was held at Penshurst Place, upon arrival there is an impressive sweeping driveway leading to a magnificent 14th century manor house. 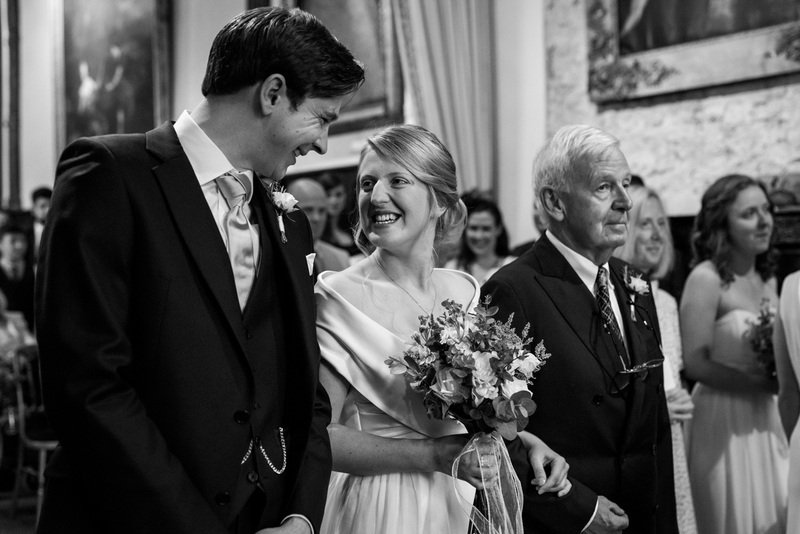 There were huge smiles from start to finish, Emma and Michael certainly have to be one of the happiest bride and groom that I have had the pleasure of capturing. 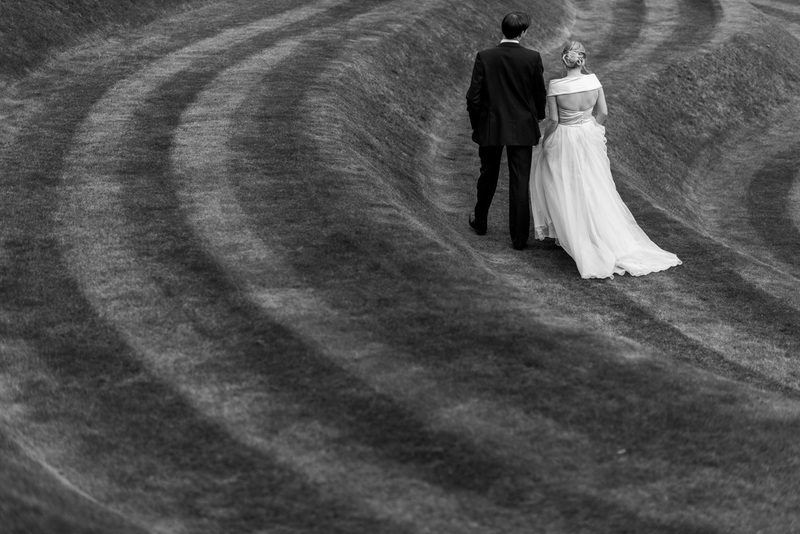 The 11 acres of walled gardens at Penshurst Place are simply stunning and a great place to capture some portrait shots. 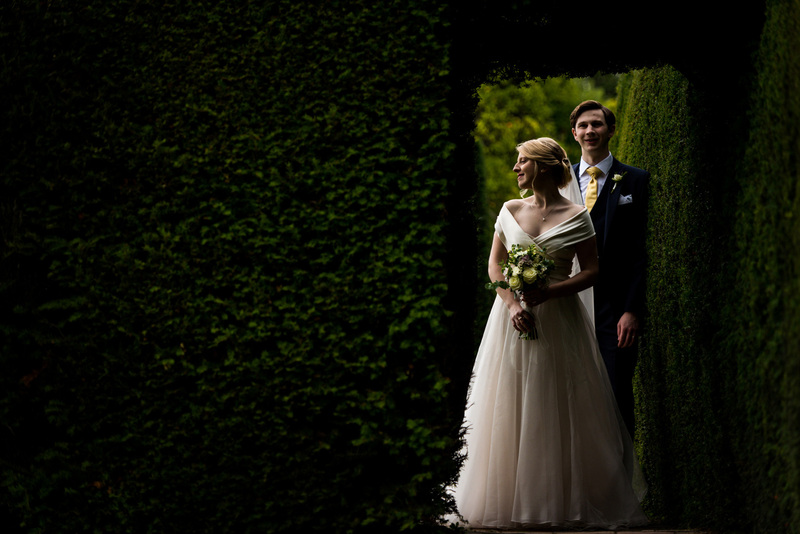 I particularly liked the mile long yew hedge, some of my favourite images of Emma and Michael are standing by this. 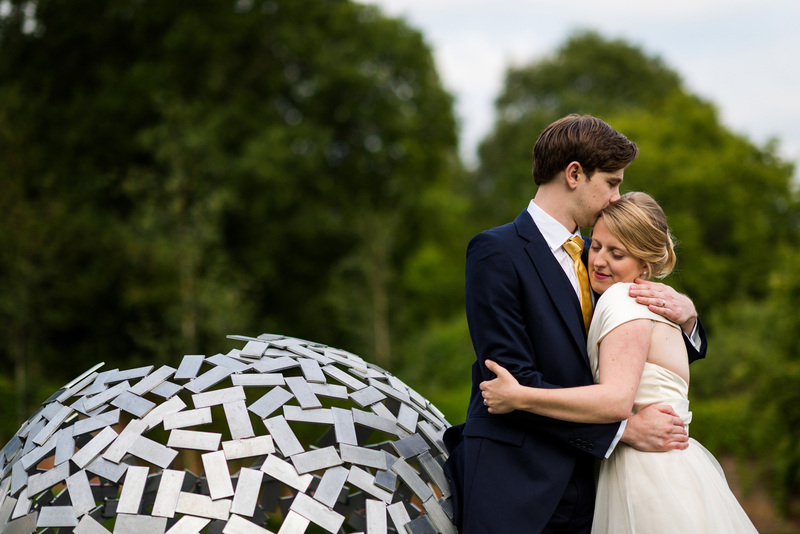 A short drive took everyone to the reception venue at the River Hill himalayan gardens. 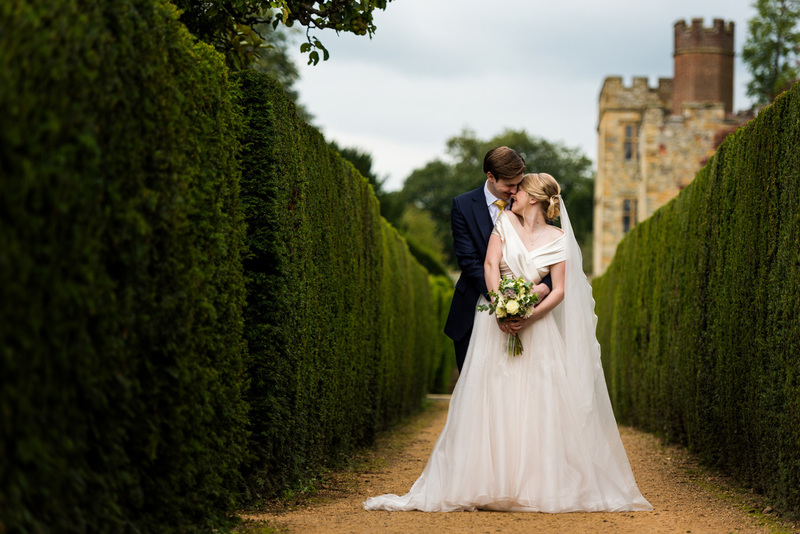 Emma and Michael chose very well with their venues as both Penshurst Place and the River Hill Himalayan Gardens are stunning, their guests were very spoilt, especially as the weather was sunny and beautiful too. 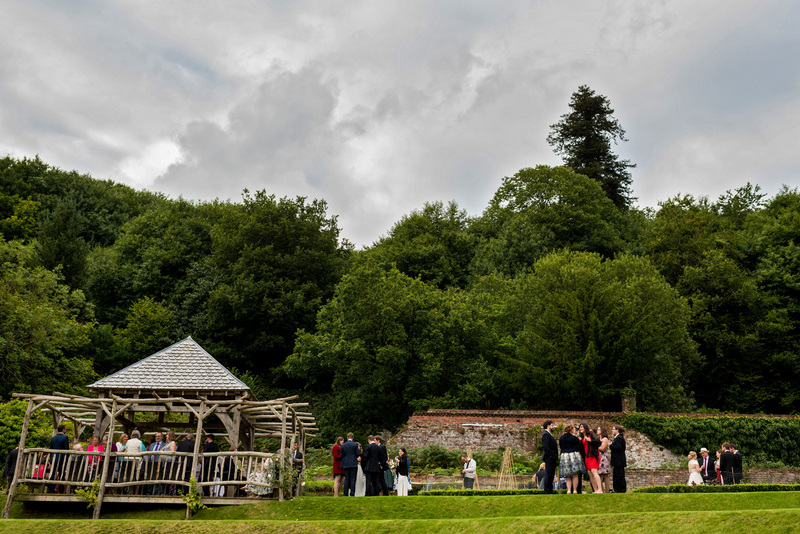 River hill has a grade 2 listed Kentish ragstone house which is set within 130 acres of impressive gardens which enjoy the views of the Weald in Kent. 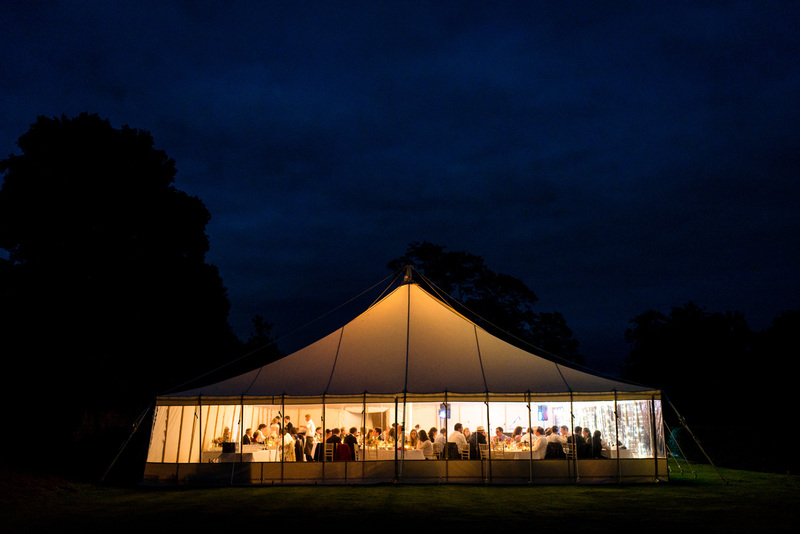 Emma and Michael had opted for a beautiful marquee to hold their reception. 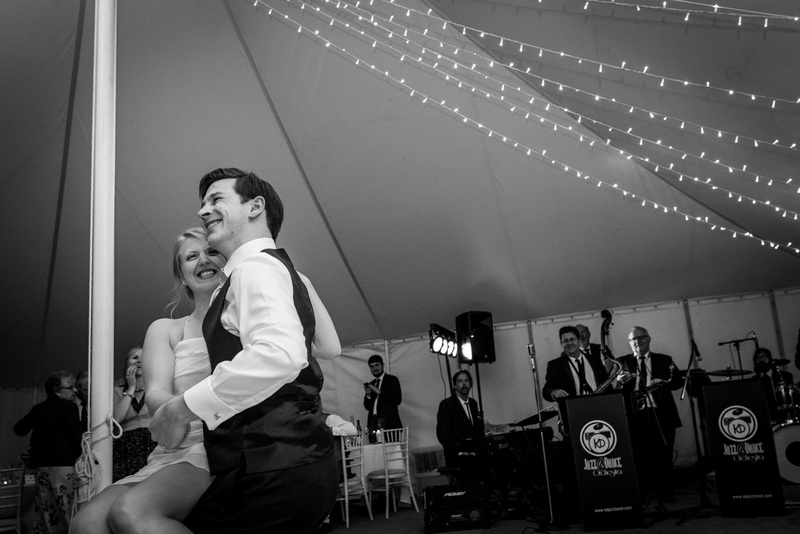 Everything was perfect, the speeches were emotional and heartfelt and the jazz band that they had in the evening were amazing. 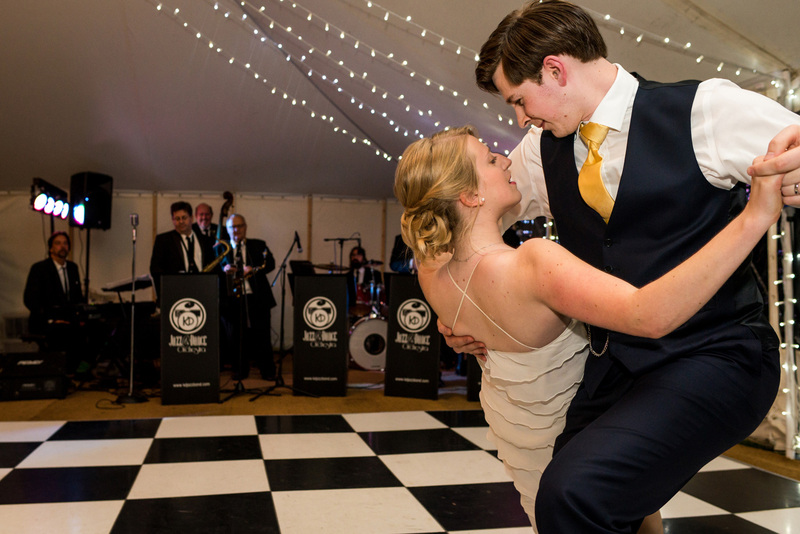 I loved everything about this wedding, the venues were stunning, the weather was beautiful and above all Emma and Michael were great fun to capture and truly lovely people. 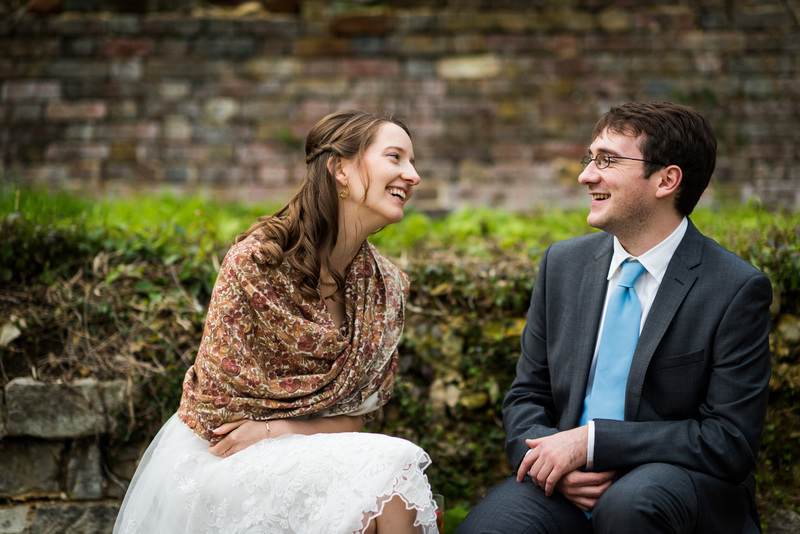 A lovely review from Emma and Michael, thank you for your kind words. First of all, Ben is a kind and friendly man to work with. It was a pleasure to meet with him before the wedding. He made a true effort to build a rapport, knowing I am generally camera-shy. 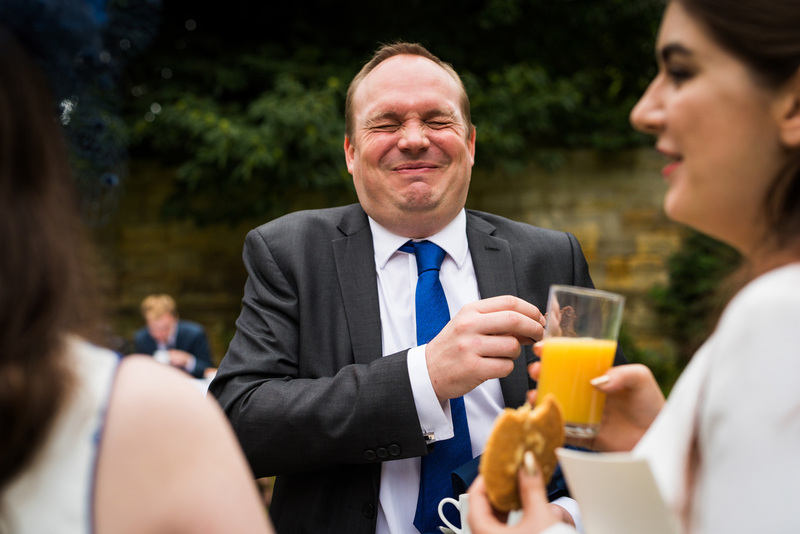 He was cheerful and relaxed on the day of the wedding, and has a sense of humour, making my family and guests laugh in earnest before he took a photograph and adding a real sense of levity when I was nervous. 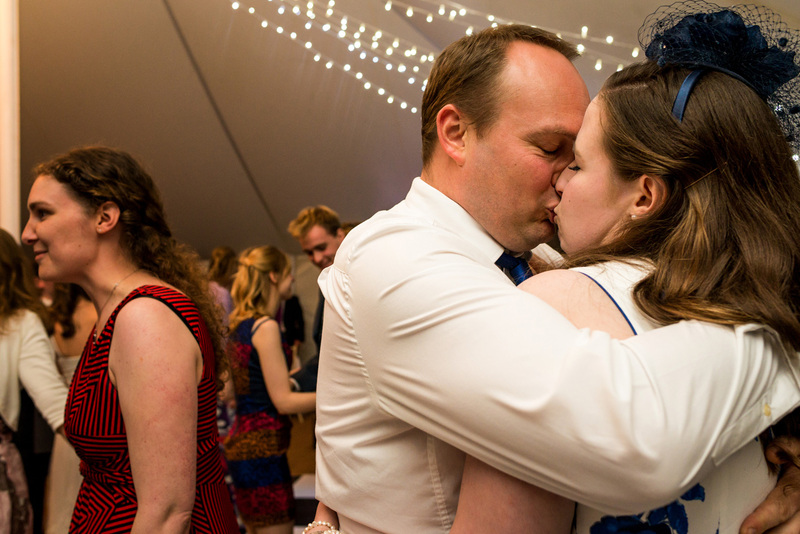 He also made a point of coming to say goodbye to me at the end of the evening and tell me that he’d had fun. As far as his approach to planning is concerned, we were equally impressed. 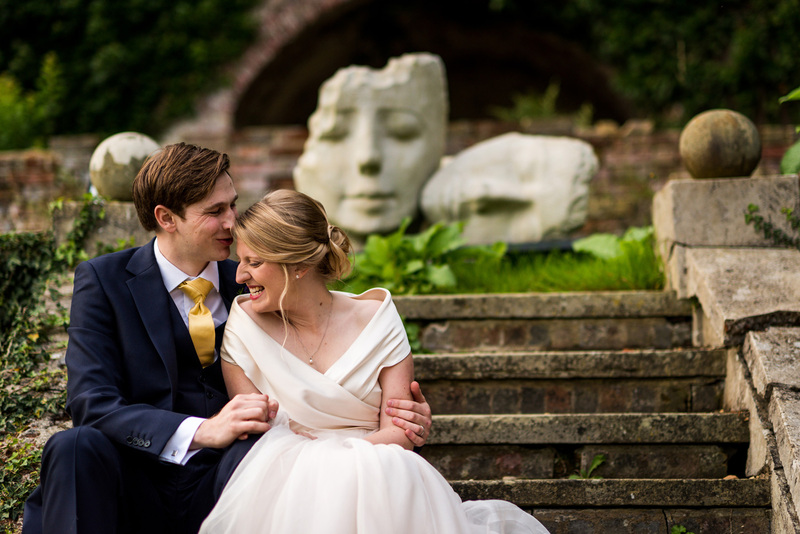 If you have Ben photograph your wedding he will send you an online form to fill in giving every detail of the structure of your day and the photographs you would like or the particular needs you have. 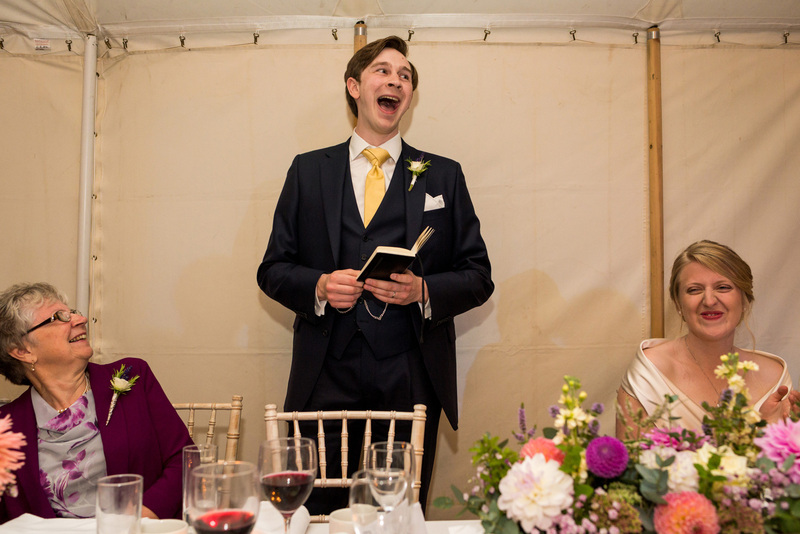 He liaises with everyone involved in your venue planning and has backup numbers from your groom’s and bridal parties. 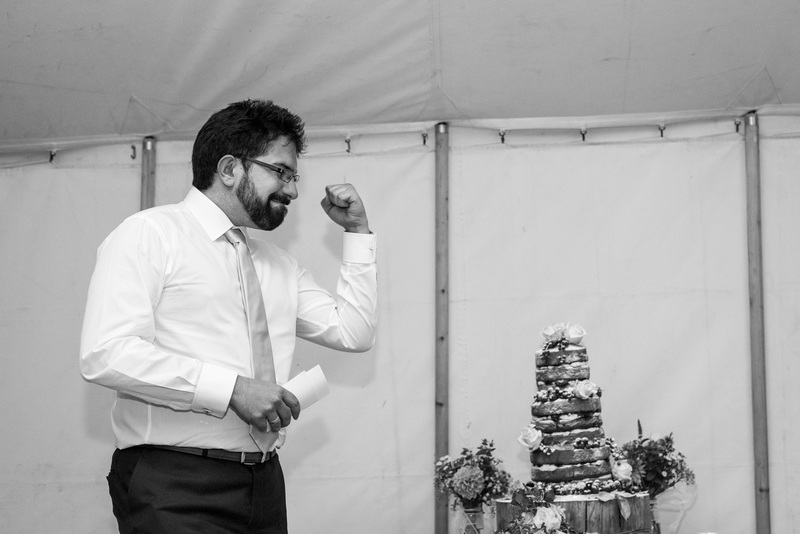 He kept everything in his head on the day. His website is absolutely accurate: he is entirely unobtrusive, a fantastic documentary photographer. He was always on time throughout the day and very generous with that time. 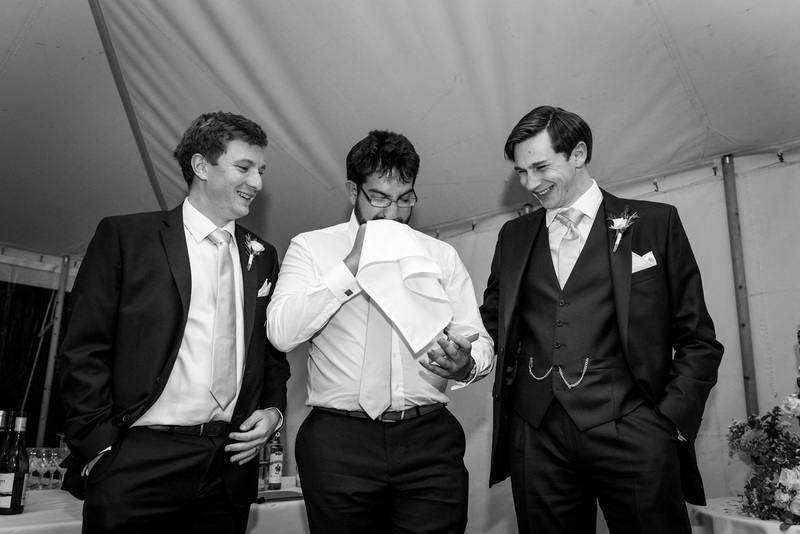 When our photographs were ready he sent us a a taster, a full gallery upload and a beautifully presented USB with two photograph formats and sizes. 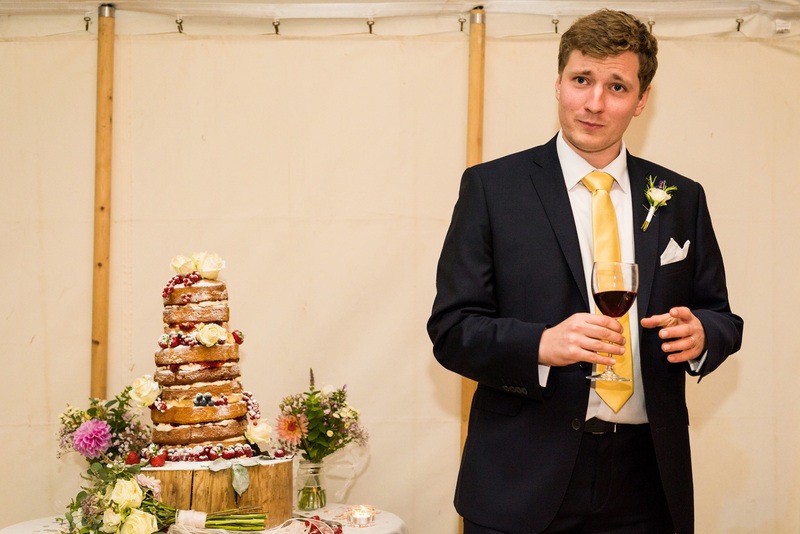 Ben’s skill as a photographer is the icing on the cake though. As an enthusiastic photographer I’m picky to say the least. I was utterly delighted. 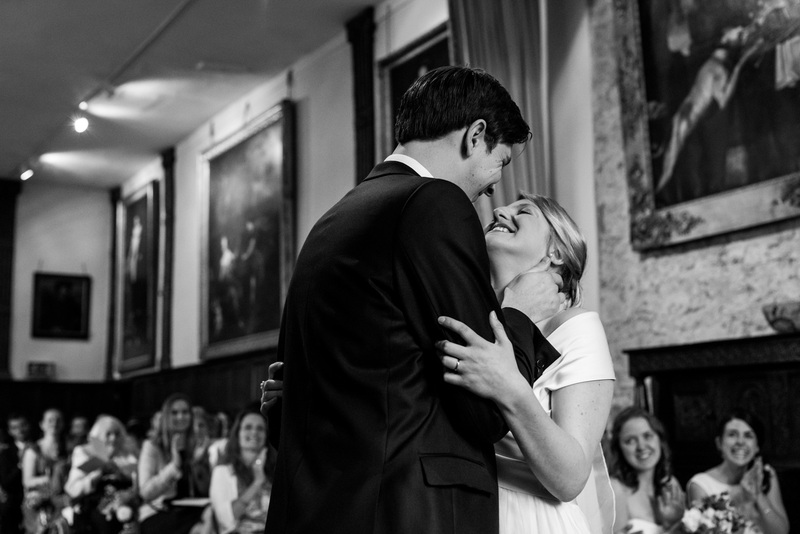 He knows his equipment, he captures light like a dream, he finds fun, romance and emotion in equal measure. 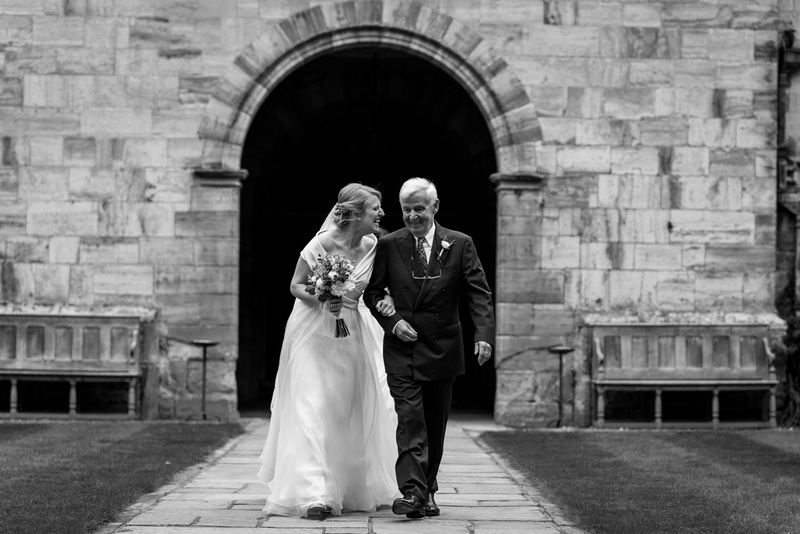 His classic shots are beautifully constructed but our favourite photographs are those where he has waited until my husband or family showed the real side of our relationships. He paid constant attention to our guests too, which they loved. He has true creativity, impressing everyone with his shot ideas and choices of angle during the day. 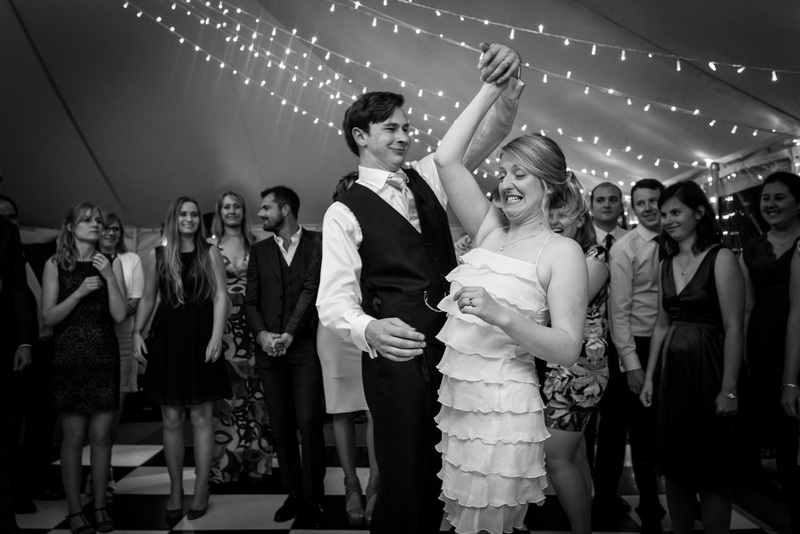 He is very experienced at what he does and managed the group and our timings with real sensitivity. 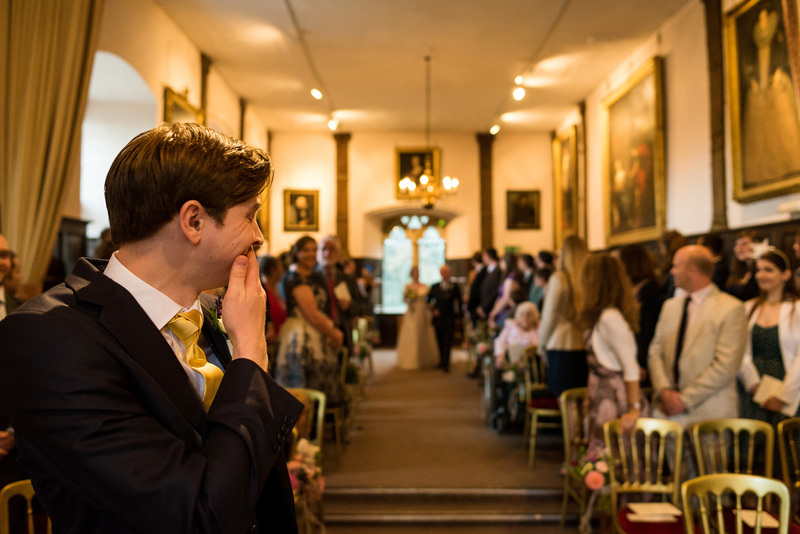 He also took time to capture details from our wedding, to the delight of our other suppliers. 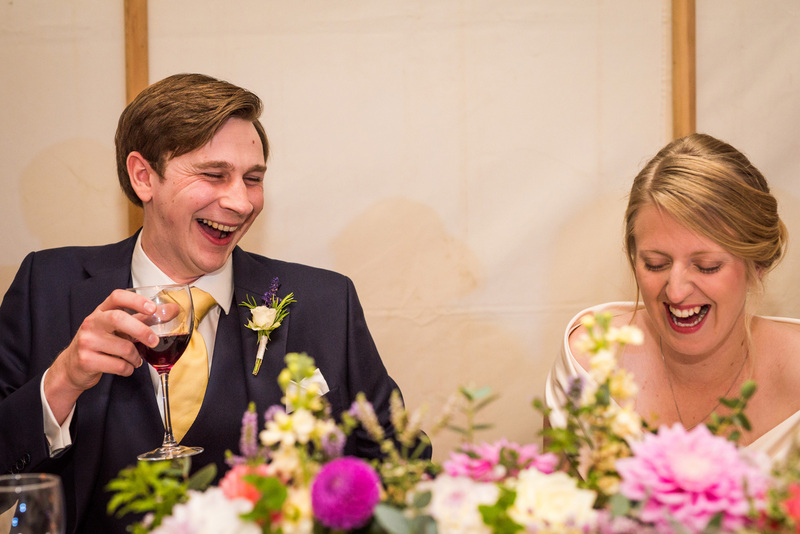 We are so happy with our photographs, showing them to our guests was such a happy moment and the reaction has been just the same as mine. I need to add him as a Facebook friend so he can read their comments. 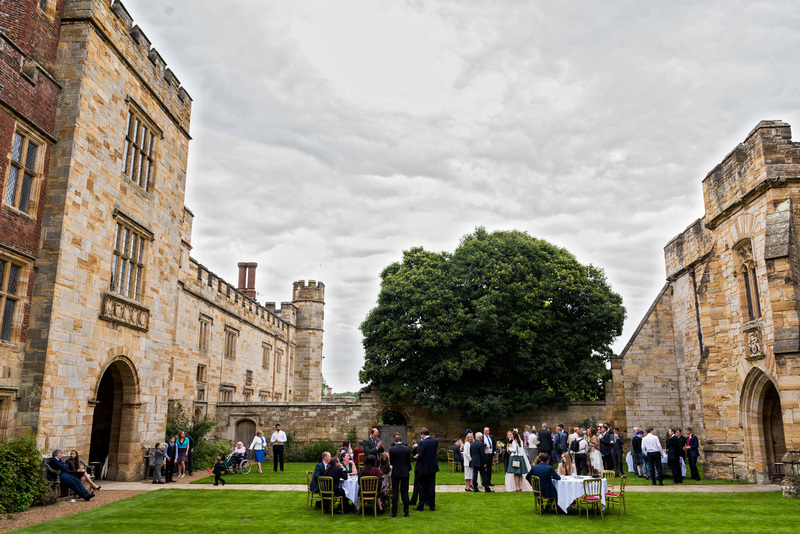 If you are considering getting married at either Penshurst Place of the River hill Himalayan Gardens then please do contact me as I would love to discuss your day with you. 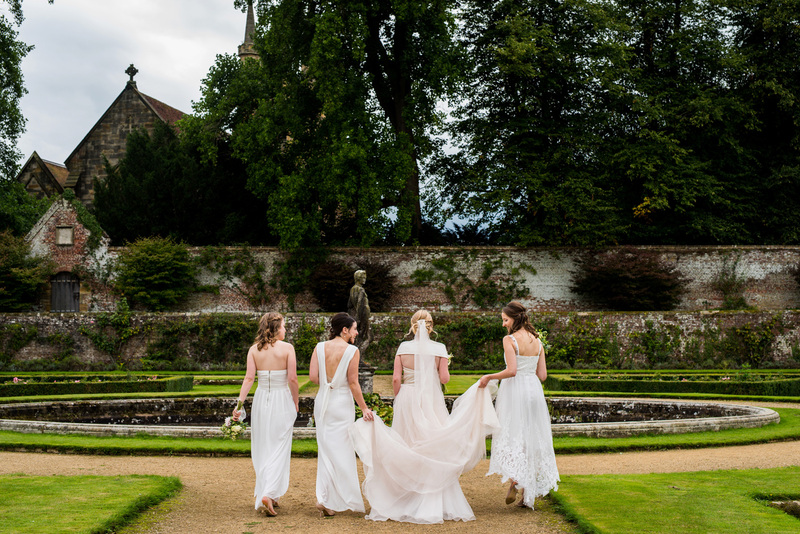 I'm Ben and I'm a Kent wedding photographer. My style is very natural, no set poses, no routines. I just love to tell the story of your day through the images I capture. 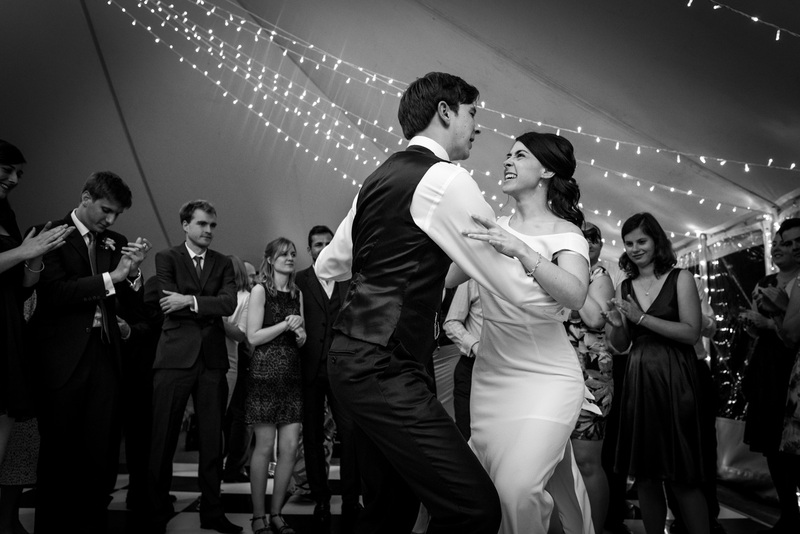 This is a lovely post full of really nice photographs and a fab looking wedding. 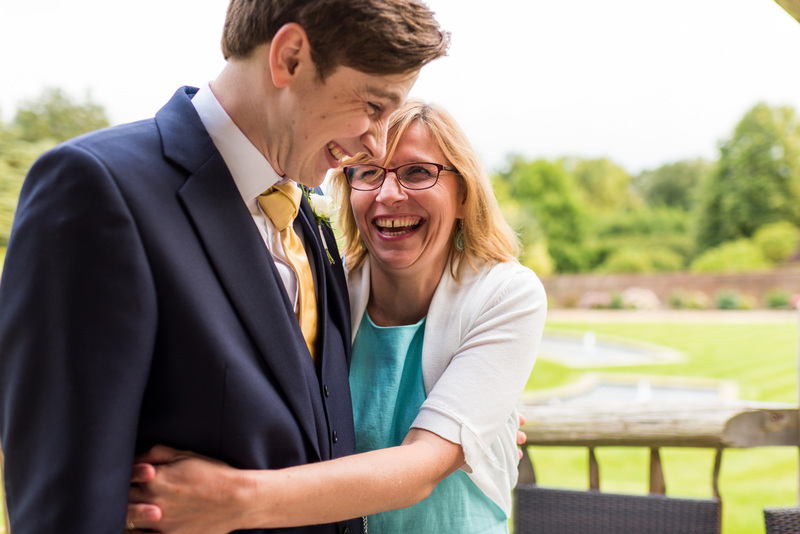 A very elegant wedding Ben, and your images contain so much emotion. 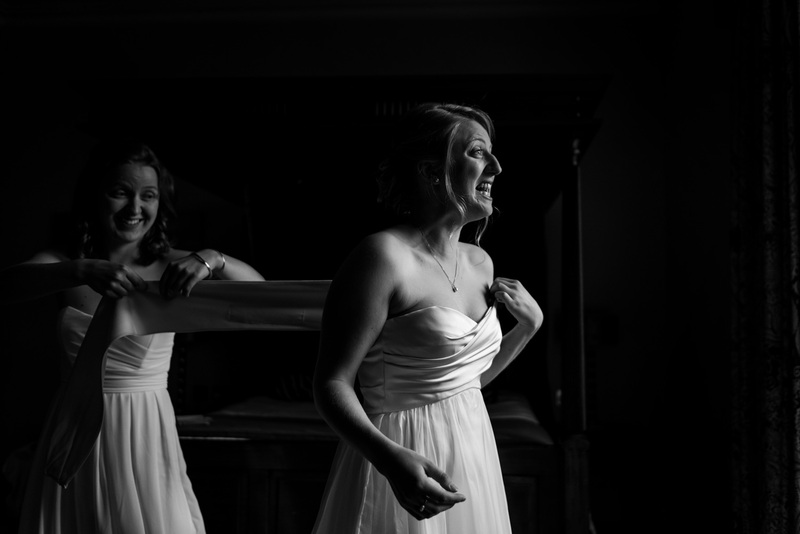 My favourite without doubt though is the first black and white of the bridesmaid wrapping the bride in her dress!